We offer a limited selection of what we like to call novelettinos as ebooks. The other books that we publish have complex internal layouts and graphics that are intended for the printed page. 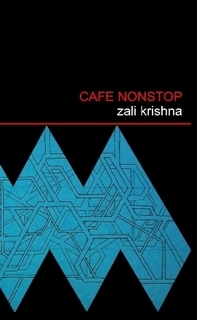 Cafe Nonstop hangs geostationary at 540 kilometres above the surface. Flight delays can be hell but when your boat is coming in from a far star, a delay can turn into a career. As a passenger waiting at Cafe Nonstop you find yourself at the bottom of the social pyramid and the exit signs keep shifting. Cafe Nonstop is no-choice adventure where you are not the hero. You are not aware of who you are and you have no idea what you are doing here. And there’s 540 kilometres to fall. Available as print or ebook from Lulu.com. On the world of Kobaïa, Siri and her friends Dewa and Toli are sailing away. They are sailing away from their parents who they have outgrown, they are sailing away from their civilisation that is only a handful of generations old, and which in its turn has sailed away from the fear that was their original homeworld. Across the undêm and alone, an electric ritual awaits them: a leviathan of the deep and a darkness that took Siri’s own brother many years ago in its black tentacles. Out there in The Heart of Silence. Dun da de Sewolawen is the tale of rites of passage and bonds of friendship in the tradition of Hayao Miyazaki and Christian Vander. It is also possibly the only existing example of Zeuhl literature. 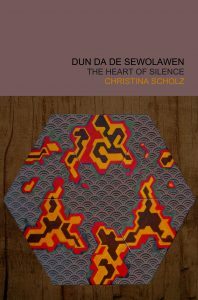 Listen to Christina Scholz reading a chapter from Dun Da De Sewolawen. Somewhere out near Andromeda is a world of dusty parking lots in the sun. Dusty and mostly empty because it is easier under local conditions to manufacture car parks than to manufacture cars. 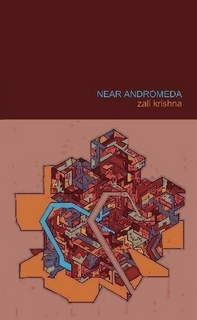 Near Andromeda is a set of utopian gospels from the end of the human project. It is a set of compact parables about who we are and where we are going. Near Andromeda is a handful of love letters to everything that we might have been. In the tradition of Olaf Stapledon, Stanislaw Lem and Douglas Adams. Near Andromeda laughs at the abyss, grins in the face of the apocalypse, and explains everything you will ever need to know about the refrigerator as a duelling weapon. Listen to Near Andromeda - The Radio Series For the Eyes on YouTube!